Kidde intelligent manual pull stations are engineered to deliver high-performance features, superb reliability, and unbeatable quality. From control of ancillary equipment, to enhanced signaling functionality, these products add flexibility and powerful options to Kidde intelligent systems. 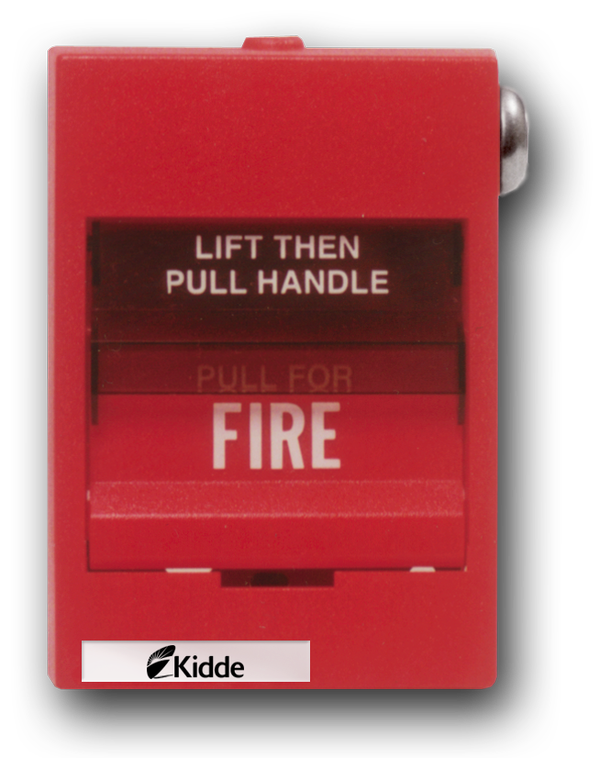 Designed expressly for small buildings, Kidde pull stations are addressable modules that are uniquely identified on the system by means of familiar rotary switches. Once registered, they share data and update status information that determines how the system behaves and how connected devices interact with one another. Kidde intelligent manual pull stations also offer contractors and installers simple setup and installation, while delivering options that take full advantage of intelligent fire alarm processing. With a microprocessor in each device, intelligence is distributed throughout the system so that command decisions are made instantly at the individual pull station, rather than bottlenecking at the control panel. This not only speeds event processing, it also makes a more robust and reliable system – so robust, in fact, that when upgrading from a conventional panel to a Kidde intelligent system, you can usually use existing wiring – no twisted or shielded cable required!